The EU referendum campaign has been wide-ranging; with the debate largely focusing on the economic aspects. Arguments which focus on democracy have, however, tended to be the preserve of the leave campaign. 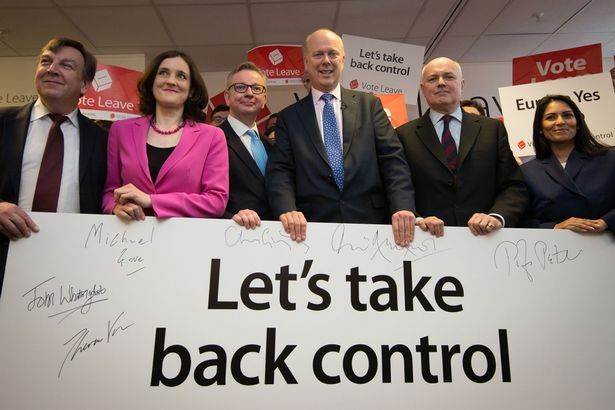 The rallying cry to ‘take back control’ of ‘our’ laws and borders, has become something of a mantra. My aim here is to assess the leave campaign’s case. I consider the impact which the EU has on the freedom of movement of the UK government; and evaluate the extent to which continued membership of the EU represents a threat to democracy in the UK. Let me begin by acknowledging that there is some force behind the leave campaign’s message. There is no doubt that EU membership entails costs. By joining the Union, States agree to be bound by the EU Treaties. Both the EU Treaties and EU legislation – typically adopted in the form of Regulations or Directives – are supreme over national law. This hierarchy of norms is applied by national courts, who, across Europe, have found creative ways of ensuring that they give full effect to EU law. In the UK, the Factortame judgment of the House of Lords established that, as Parliament must be assumed not to have intended to legislate contrary to EU law, provisions of an Act found to conflict with provisions of the EU Treaties, could not be applied in the case at hand. The EU Treaties also have a broad material scope. They, the principle of subsidiarity notwithstanding, afford the EU legislature a broad competence to act. The EU has acted in order to create an internal market in Europe and has imposed a range of social and environmental standards on the Member States. In addition, the judicial arm of the EU, the European Court of Justice, has held that a number of national rules breach EU law, and has thereby had a significant influence on the regulatory landscape in the Member States. The extent to which the various interventions of the EU have had positive or negative consequences is, of course, a matter of political debate. It is certainly true that, for better or worse, much of the UK’s equality and environmental law owes its existence to the actions of the EU. Thus, there is no doubt that EU law creates constraints which affect the ability of the Member States to control their laws; and that Brexit would indeed enable the UK to take back some control. 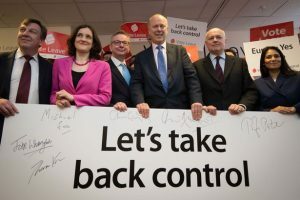 But, when we examine the way in which these constraints are imposed, attempt to locate them in a comparative constitutional perspective, and consider the alternatives, the leave campaign’s case begins to take on a different hue. EU law is not, as so often presented not only by Brexiteers but also in the mainstream media, imposed on Member States by a ‘Brussels bureaucracy’. First, the EU has the power to act only to the extent that the Member States have chosen to grant it that power. It is the States themselves who have (collectively) chosen to do things at European, rather than the national, level; presumably because of the advantages which they calculate will flow from this. Revisions of the Treaties require the unanimous agreement of all Member States. As a result of the European Union Act 2011, future changes to the Treaties which involve increases in the EU’s competence, may only be approved by referendum in the UK. Second, though the EU’s law-making process is complex, it is founded on democratic principles. The EU’s legislative procedures – and in this regard, the EU stands alone among the world’s international institutions – are animated by a democratic ethos. Under the so-called ‘ordinary legislative procedure’ which applies in the majority of policy areas, Commission proposals do not become EU law unless they are approved by a majority in the (democratically elected) European Parliament, and approximately two thirds of the governments of the 28 Member States (whose votes in the Council of Ministers are weighted according to population). In particularly sensitive areas, States have either preserved their right to veto proposed legislation, or ensured that EU competence is explicitly excluded. No doubt European level democratic systems could be improved, in particular in relation to the governance of the Eurozone, but it is misleading and dishonest to say that EU law is imposed on unwilling States by unelected bureaucrats by Brussels. Second, while the obligation to follow ‘higher law’ may be a little unfamiliar in the UK, it is common throughout the world for constitutional structures at the national level to seek to confine the power of the legislature, and to guard against one of the risks inherent in democracies: the tyranny of the majority. Constitutional courts are often accorded the power to annul legislation which infringes constitutionally protected fundamental rights. In the UK, the constitutional position has begun to move in this direction with the adoption of the Human Rights Act in 1998, which affords courts the opportunity to rule on the compatibility of legislation with standards enshrined in the European Convention of Human Rights. One reason that governments agree to cede a measure of control, or that Parliamentary sovereignty is attenuated, is so as to ensure that constitutional standards are safeguarded. Where the EU is unusual, is in that the higher law standard, against which ‘constitutional’ assessments of the legality of national law are performed, is an international standard, which has direct effect in the various national legal systems. The international nature of the standard is important. Governments are, unsurprisingly, often willing to undertake to meet particular trade and environmental standards when they are safe in the knowledge that other governments are willing to make reciprocal commitments. There is something unseemly in the delight which leave campaigners appear to be experiencing at the thought of liberating themselves from the constraints inherent in EU membership. This freedom will not play well in post-Brexit trade negotiations. And from a democratic perspective, the question is this: would we rather allow the UK Government, relying on a House of Commons majority achieved on the basis of under 37% of the popular vote (and a turnout of 66%), to act freely, subject to minimal scrutiny in Parliament and before the UK courts; or would we rather adhere to the laws established within the institutional structure of the European Union, ensuring adherence to EU internal market and international fundamental rights standards?